Mike currently serves as chair of the firm’s retirement plan audit division. In addition to those duties, he is directly responsible for servicing clients in various industries, including construction, manufacturing, real estate, transportation, hospitality, professional service firms and non-profit and government organizations, and is directly involved in developing tax planning strategies and the review of tax compliance. 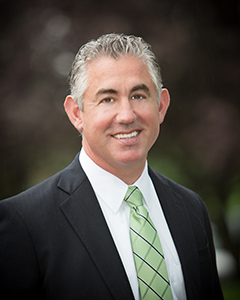 Mike is also a member of the firm’s business consulting division. He has been involved in various engagements including mergers and acquisitions, fraud investigations, and evaluations of financial and operational control procedures. Mike joined the firm in 1994 and was made a shareholder in January 2004. He and his wife, Kim, live in Westtown Township with their three boys, Chris, Colin and Regan.